Have you ever taken a picture and later discovered a small circle—or circles—of light or perhaps a circle of light with a contrail? Those are orbs. The definition of an “orb” is a sphere or spherical object, like the sun. But around 20 years ago, Dr. Dave Oester of IGHS (I think it was Dr. Oester) began referring to electromagnetic spiritual energy as an orb. And for most of us interested in the paranormal, that’s what an orb is. But orbs can be very confusing. We’ve all had our own experiences and have drawn our own conclusions about them. My friend, Melba Goodwyn, author and clairvoyant from Texas, had her first experience with an orb as a child. She was sitting outside late oneafternoon when a bright orange sphere appeared in front of her and actually passed right through her. And last Saturday at the book signing at the GhostStop in St. Cloud, a woman came in and related a similar experience with a “ball of energy,” which came into the room, knocked her off her bed, and exploded on the other side. Several people at the GhostStop agreed that it was probably ball lightning, a luminous ball of energy often associated with thunderstorms. Lab experiments have reproduced something similar to what has been reported as ball lightning, but there isn’t much scientific evidence of its naturally occurring. So, who knows what the woman experienced or if ball lightning even exists?. Some people claim that most orbs captured on camera are actually particles of dust or precipitation. My friend Melba has had experiences which refute that. She has taken pictures on a dirt road with a truck passing by, and no orbs were present. And something I can’t explain: a year or so ago I was on a ghost hunt at the May-Stringer House in Brooksville, Fl. After we’d finished, which was probably sometime after midnight, we were standing outside in the parking lot (mostly dirt) and I took three pictures of the house in quick succession. The first and third pictures were filled with “orbs.” The second (middle) picture was clear as a bell. I have a hard time believing that those were all orbs on the one hand, but I can’t explain why the middle picture was so clear. Easier to accept as true orbs are those that move. Check out the two photos attached. The long orange line was taken at Bud and Brenda Henshaw’s RedHawk Ranch in Wimauma, Fl. I have a story about the RedHawk in Ghosthunting Florida. You could say that a flashlight with an orange filter could have been used, but there were no flashlights present. I’ve forgotten who gave me the second photo. It might have been the Henshaws. In any case, I have no doubt those photos are orbs. When our physical bodies die, there is nothing remaining but pure energy. We know that, so there is no reason to think that energy can’t be captured on film or by the naked eye. For me there are larger questions, which Melba also asks. Are orbs intelligent life-forms? Do they try to communicate with us? Are they ghosts? Do their colors mean anything? Draw your own conclusions about orbs, but as for me, I believe in them. Discovering orbs can be very exciting, and maybe, just maybe, some day, I’ll communicate with one. NOTE: In addition to Chasing Graveyard Ghosts, Melba Goodwyn has another wonderful and enlightening book out, Ghost Worlds. Before I get started on the blog, I want to put in a plug for our book-signing (Vivian Campbell, Stalked by Spirits, and me, Ghosts of St. Augustine, Ancient City Hauntings, Ghosthunting Florida, and 12-21-12) next Saturday, Oct 13th, Noon to 3 p.m., at the GhostStop in St. Cloud. Easy to find—1221 10th St.—and that’s not 1221 East 10th St (I think that’s a cow pasture.) Anyway, the GhostStop is in downtown St. Cloud. And even if you don’t want to talk to us, come on in and check out all the equipment. It’ll make you drool! Now, about chasing ghosts. As I’ve said before, I think there’s a difference between ghost hunting and paranormal investigation. Ghost hunting is, well, hunting for ghosts. You go into a site to see if there is any paranormal activity there. Think about some of the more popular spots; Lake Worth Theater, Ripley’s in St. Augustine, the Leaf Theater in Quincy, The May-Stringer House in Brooksville. Those places are known to be haunted, and people go there to see if they can experience the reported activity. A paranormal investigation attempts to determine if a site does have paranormal activity. Most often residents of a home or other building or site invite investigators to find out if the home or site is haunted. When you hunt ghosts, you go to a site expecting, hoping, to encounter something paranormal. When you investigate, you’re looking more for an explanation of an event or activity that, on the surface, can’t be explained. When you’re looking for places to hunt ghosts, a good rule of thumb is “the older, the better.” Not true across the board, but something to keep in mind. Older sites have more history and more chances that something occurred there to keep spirits around. Historical sites are always good. Think Gettysburg, Chickamauga, Andersonville, or, closer to home Olustee, all from the Civil War. Or try the Kingsley Plantation on Talbot Island for a really ancient site. And there’s always the Castillo in St. Augustine. And you can peruse the history of your area to find a lot of places where epic tragedies happened. Personally, I like to go to places which have never been explored before, like the courthouse in Tavares, which I visited with Outcast Paranormal Society a few weeks ago. That was exciting. And you never know what you’re going to find. When you go into an often-investigated site like, say, Ripley’s, and you don’t find much, it can be tough on your ego. “What did I do wrong? Why didn’t I experience X, Y, or Z?” I guess that’s why so many groups use the known sites for training new members. If they don’t experience the paranormal activity there, they’re probably doing something wrong. In any case, historical sites are always a good bet. Then, there are cemeteries. I have said in the past that since people usually die someplace else and their bodies are transported to cemeteries for burial, there won’t necessarily be much activity in those sites. But, that’s not always true. In the first place, cemeteries are often portals for ghosts trying to move on. 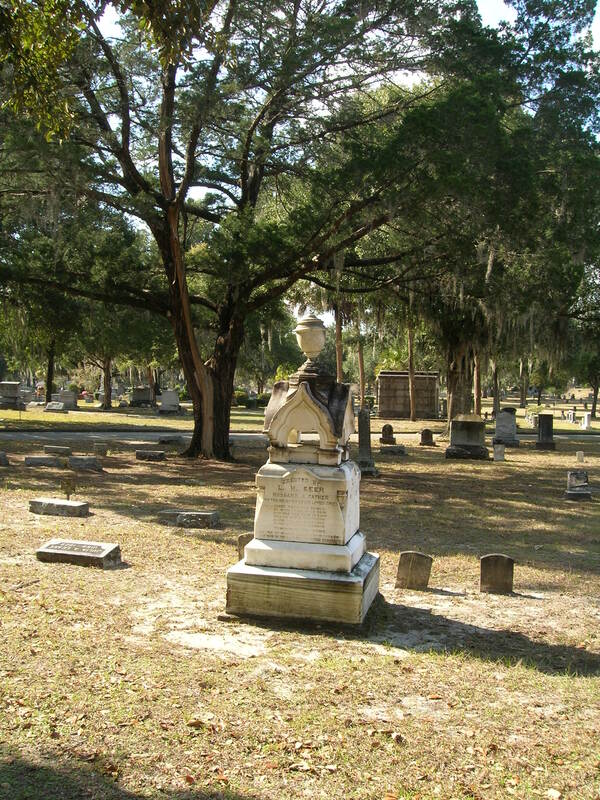 Of course, murders and other crimes sometimes take place in cemeteries, and natural and man-made disasters can devastate cemeteries as well as other locations. Sometimes, too, grave robbers anger departed souls desecrating grave sites. If you’re interested in graveyard ghosts, I recommend a comprehensive book by Melba Goodwyn, a friend from Texas. The book is Chasing Graveyard Ghosts . Melba is an experienced clairvoyant parapsychologist with a vast knowledge of astrology, numerology, divination, and traditional psychology. Her book is a text for learning about graveyard ghosts. And, finally, don’t forget next Saturday’s book signing at the GhostStop, AND don’t forget checking out 12-21-12 (by Parker Lee) on Kindle. If you don’t have a Kindle, Amazon will give you a free app to download e-books to any device. Last but not least, please pass the word around about my site. Hey, give me some feedback, too. Fort George Island is one of the Talbot Islands near Jacksonville just off A1A. On the section owned by the National Park Service there stands the Haunted Tabby House and the Kingsley Plantation. I had read about Fort George Island in Joyce Moore’s excellent book, Haunt Hunter’s Guide To Florida, and it piqued my interest. I called the National Park Service to get permission to visit after dark; the hunter’s moon was just a few days away. The following Saturday night I found myself driving down the winding, shaded roadway toward the Tabby House. Small pin points of moonlight knifed through the thick canopy above and created an eerie glow, made even more ghostly and macabre by long strands of softly swaying Spanish moss which hung from the trees and by the dense palmetto scrub which lined both sides of the road. I was alone, and I began to feel a little claustrophobic. I also began to feel something else. Fort George Island has been continuously occupied by humans for five thousand years. Traces of every period remain. There are thirty-some archaeological sites on the island, including the old tabby slave quarters, and I could almost hear the big old bell clanging, calling the slaves in from the fields. Is that what I sensed? Or was it some pre-historic Indian? I drove on and suddenly I was in a clearing and there stood the ruins of the Tabby House, washed in the whiteness of the full moon. Tabby is a mixture of sand, water, and lime made from burning oyster shells, which is then mixed with whole shells and poured into forms to make a serviceable concrete. The moonlight reflecting off the shells made the ruins fairly glow. Not much was left of the house. The walls had eroded, and there was a gaping hole in the middle of the front wall where once stood a door and behind it another wall with a smaller hole, presumably once a window or another doorway. About ten or twenty yards in front of the house there was another low tabby wall, which had once surrounded the house.